He was a member of the ROTC and a panelist at a youth summit. A high school student in Pennsylvania who appeared to be leading his class was arrested this week after officials say he was actually a 23-year-old Ukrainian man using a false name. The police in Harrisburg say that the person locals knew as teenager Asher Potts was actually a 23-year-old Ukrainian man named Artur Samarin. The Harrisburg Police reported that Samarin had been enrolled at John Harris High School since the fall of 2012. He had remained in the U.S. after his visa expired and had obtained a Social Security card and undisclosed "additional U.S. documents," police said. Samarin has been charged with theft, identity theft and tampering with public records, police said. 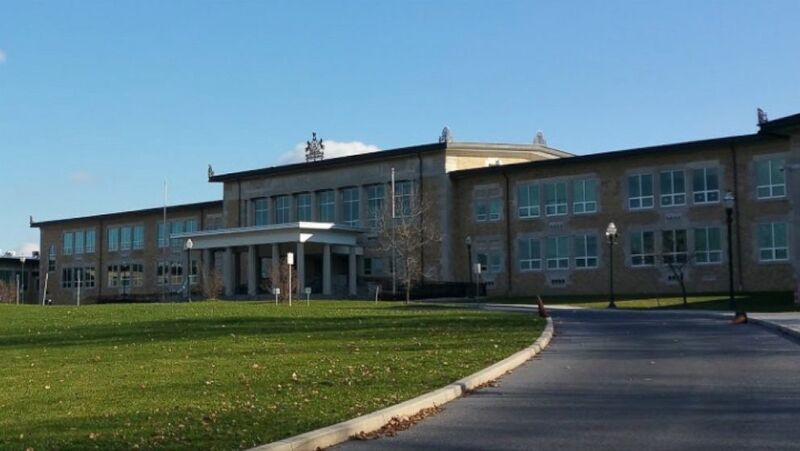 (Google Street View) Harrisburg High School in Harrisburg, Pa. While living under his assumed name, he had become a member of the school's ROTC and Naval Sea Cadet programs, according to ABC affiliate WHTM. WHTM also obtained footage from a recent youth summit where he attended as a panelist. No details about how Samarin was discovered have been disclosed, but WHTM reported that he was arrested while in class. "He was nice but I didn't expect him to be that old," student Khaiyon Rice told WHTM. "While we do not know all of the details surrounding the arrest, we are treating this as a serious matter," said Kirsten Keys, a spokesperson for the Harrisburg School District told ABC News in a statement. Harrisburg Police Capt. Gabriel Olivera told ABC News that there are "still other pieces" of the investigation underway. No one else has been arrested "yet" in connection to the case, he added. He was unable to comment on how the alleged crimes were discovered. Samarin has had a preliminary hearing but has not entered a plea, according to the district attorney's office. He did not have a lawyer as of this morning and his first formal hearing is scheduled for March 4. Olivera told ABC News that Samarin is being held at the Dawson County Prison on $2,000 bail.